Covert Affairs Season 2 : Covert Affairs season 2 DVD box set is available now. This TV series is mainly about a young CIA trainee, Annie Walker, is sent out into the field to work at the Domestic Protection Division (DPD). August "Auggie" Anderson, a blind tech operative, is Annie's guide in her new life. The second of the show totally has 16 episodes. 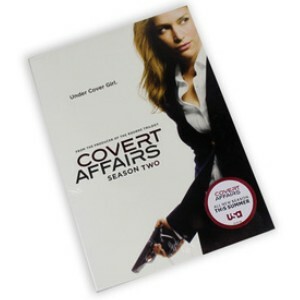 Covert Affairs season 2 DVD box set is hot on sale now!